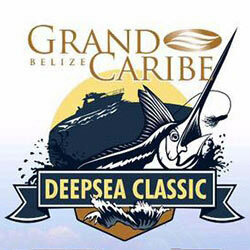 Grand Caribe Belize is hosting its first ever International Deep Sea Classic Fishing Tournament. This three day fishing extravaganza promises to be a fun filled, exciting experience for the entire family. Register now for July 7th, 8th & 9th, 2017. 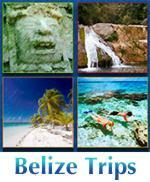 $44,000 Belize dollars in prizes! Grand Caribe Belize is excited to announce the launch of their first annual fishing tournament at Ambergris Caye, Belize, on July 7th through July 9th, 2017. 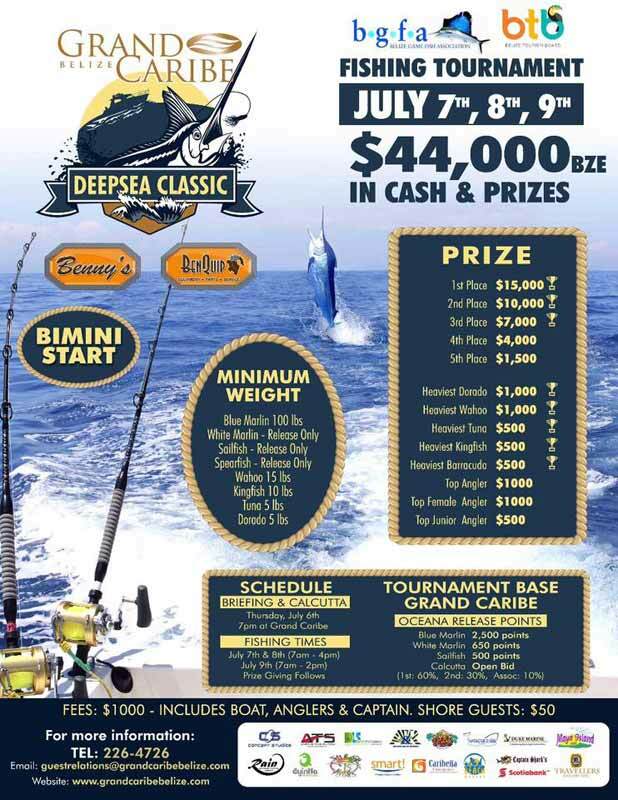 Fisherman/women of all ages are invited to the 1st Annual International Deep Sea Classic Fishing Tournament sponsored by Grand Caribe Resort this July 7th-9th in Ambergris Caye, Belize. 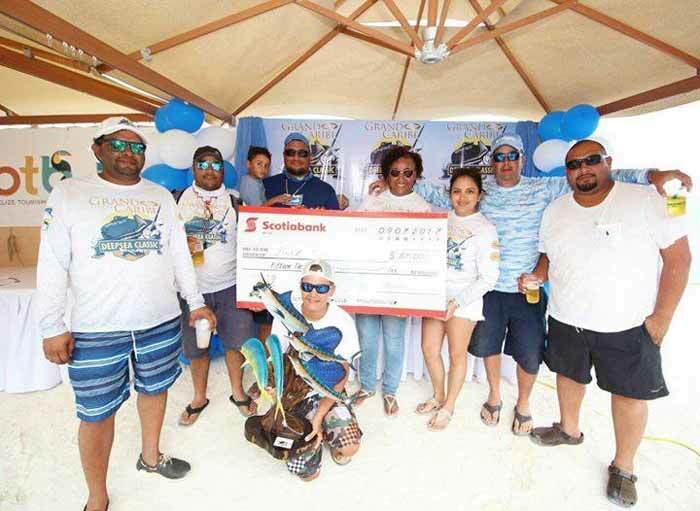 This tournament is offering Belize dollar prizes totaling $44,000 in cash with 1st place receiving $15,000, 2nd place receiving $10,000, 3rd place receiving $7,000, 4th place receiving $4,000 and 5th place receiving $1,500. 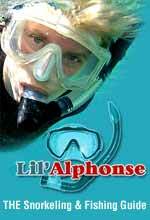 There will also be a series of prizes offered for the heaviest fish by type and the top angler overall, top female and top junior. With regards to accommodations, Grand Caribe is offering amazing discounted rates making accommodations affordable for all participants. 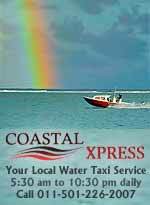 Briefing for the tournament begins July 6th at 7:00 pm at Grand Caribe. 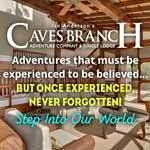 There is a registration fee of $1,000 with a $50 fee for shore guests. The tournament will start July 7th at 7:00 am. 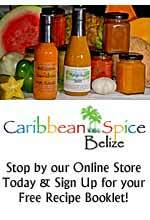 Grand Caribe Belize holds the only official IGFA weigh station in Belize and in the region. Beyond Grand Caribe Belize, this tournament is supported by the Belize Game Fishing Tournament and the Belize Tourism Board. In addition, there are other organizations that are sponsors of this tournament including Benny’s Home Center, BenQuip, Scotia Bank, Caribeña Enterprises, SMART, Ambergris Divers, Concept Solutions, Palapa Bar, Beach Basket, AyinHa, Captain Sharks, A&R Enterprises, Rain Restaurant, Diversified Life Solutions, Maya Island Air, Tuff E Nuff Tours, Adventure Travel Solutions, Travellers Liquors Ltd & Duke Marine. "We are excited to host this event; we have partnered with some of the best businesses and organizations to not only offer anglers a great fishing tournament but also the opportunity to win some really great prizes and have some fun!" 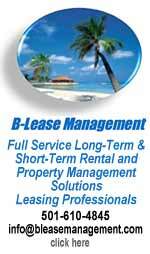 said Amy Leiva, Guest Relations Manager, at Grand Caribe Belize. For more information about this event, please contact Amy Leiva at 501-226-4726 or write to [email protected] or visit www.grandcaribebelize.com/tournament. 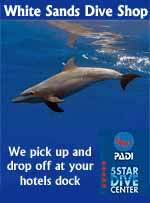 Grand Caribe is a Belize luxury resort condominium complex 2 miles north of San Pedro and has the only official fishing weigh station in Belize and in the region. 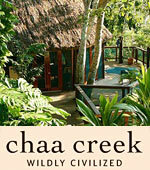 The resort rests on immaculately manicured grounds and 650 feet of white, sandy beach. The complex has 72 units, each boasting elegant architectural design, incredible furnishings, fully-equipped kitchens, air conditioning, and all the amenities of a luxury resort. 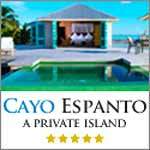 Each unit also commands a spectacular view of the Caribbean Sea and the surrounding grounds. Grand Caribe has recently been honored by TripAdvisor’s prestigious Travelers’ Choice award.